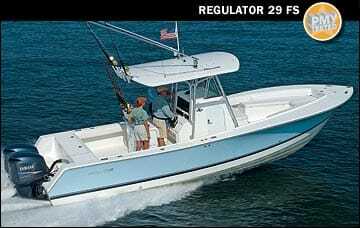 Center-console boats will always be objects of my affection. As teenagers my friends and I spent large chunks of our summer vacations cruising, fishing, and looking for trouble on a 17-footer in the backwaters of Barnegat Bay, New Jersey. 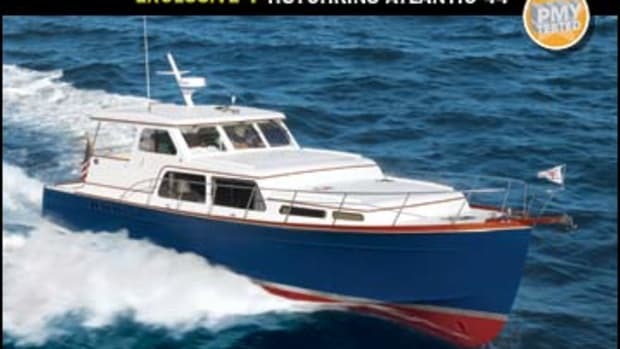 At any given time my friends and I had her loaded up with surfboards, diving and fishing gear, or just a horde of people bound for a favorite anchorage. 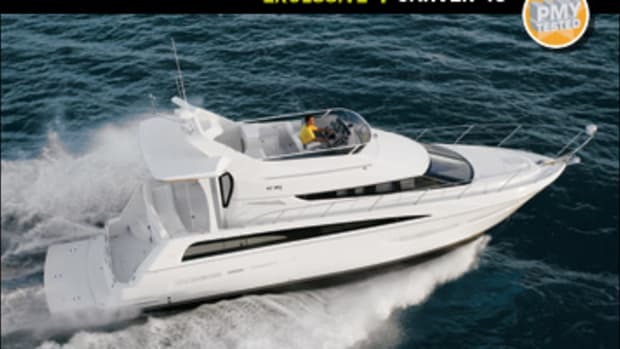 Later I watched with great interest as boatbuilders began to push the center-console design into the mid-30-foot range, a move made possible by more powerful, more efficient outboards. 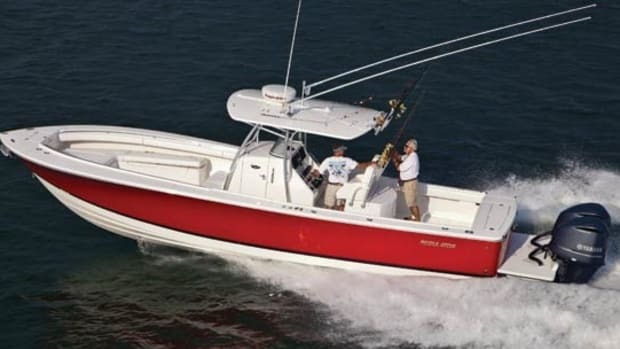 Indeed, marrying a pair of these new outboards to the utilitarian center console created for me and a lot of other anglers what turned out to be the ultimate offshore fishing machine. 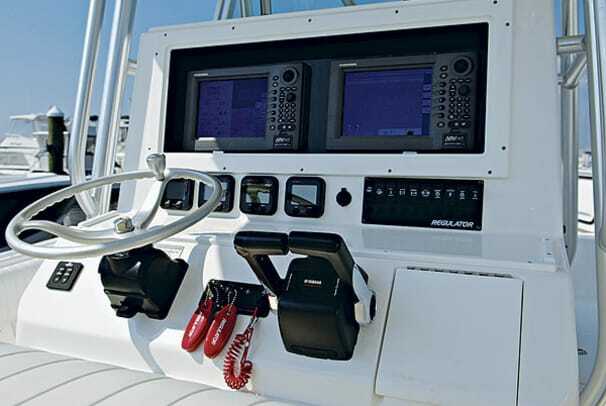 By the time Regulator Marine was founded in 1988, 30-foot-plus center consoles were hot items. But instead of building such large craft from its inception, Regulator decided to work its way up and focus on rigorous testing and the goal of building vessels that were capable of offshore fishing. Its factory in Edenton, North Carolina, on Albemarle Sound provided an advantageous place to address both factors. Since it started, Regulator has tested its boats in North Carolina’s notoriously rough Oregon Inlet as well as offshore in the gamefish-rich waters off the Outer Banks. With my love for center consoles, I was understandably keyed up to get aboard the 29 FS (the FS means forward seating). 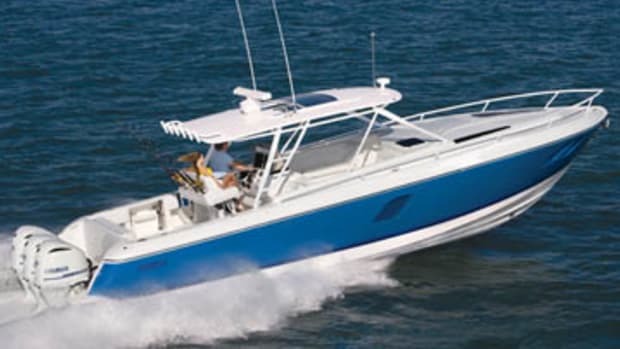 Like all Regulators, the 29 features a hull drawn by veteran naval architect Lou Codega, who, in his 25-year career, has designed production hulls for Carolina Classic and Cabo, semicustom boats for Bluewater Yachts, custom sportfishermen for Hines/Farley Yachts and Rybovich, and patrol boats for the U.S. Navy. She’s got a solid fiberglass bottom and Regulator’s Fiberglass Grillage System of Divinycell-cored fiberglass stringers, designed to provide her with the kind of stiff, strong hull needed to run offshore in snotty conditions. Unfortunately, during my wring-out of the 29, neither her rough-water capabilities nor fish-raising attributes came up. A series of events prevented us from fishing, and an approaching weather system had stalled. As Regulator’s Florida sales rep Michael Devlin and I took the 29 outside to run some numbers, the wind was nothing more than a 10-knot breeze with one- to two-foot seas, and those conditions stayed with us throughout the test. Nevertheless, several factors emerged about her performance. The first was an impressive average top speed of 51.2 mph. Also impressive was how quickly and effortlessly she got out of the hole: In 20 seconds she had hit 45 mph, and she reached 50 mph in less than 30 seconds. On plane the 29 handled superbly, courtesy of Codega’s running surface and Teleflex SeaStar hydraulic steering with optional power assist. I was able to execute 180-degree turns at WOT in fewer than three boat lengths with little loss in rpm, and when grass lines and crab pots popped up quickly in the hazy conditions, I weaved through them effortlessly without having to slow down. 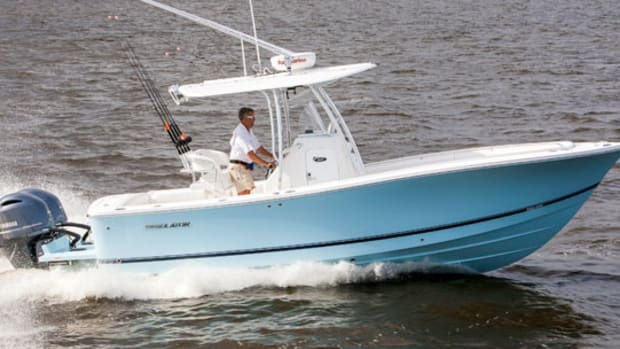 Indeed, the twin Yamaha F250 four-strokes—the only engines available—seemed like a great match for the hull. This impression was reinforced later when I checked the data I’d gathered from the standard Yamaha Command Link fuel-burn gauge: She achieved better than 1 mpg throughout her rpm range, and at a fast cruise just shy of 34 mph at 4000 rpm, she burned 21.2 gph, or 1.60 mpg. 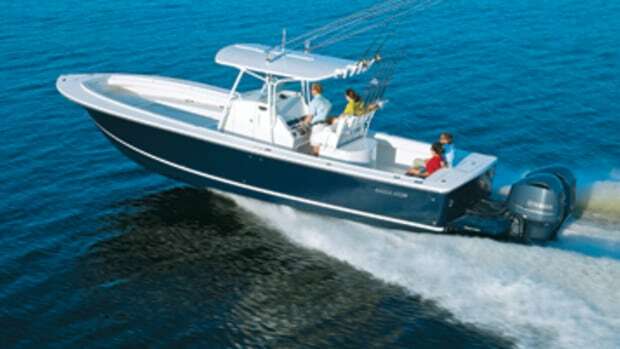 The 29 is equipped with a standard 285-gallon fuel tank, comparatively large for a center console less than 30 feet, meaning that at that speed, she’s good for a range of 410 miles. If I had been able to wet a line on test day, the 29 would have been ready. Take her fish-stowage capabilities. Her foredeck has a standard 130-gallon insulated fishbox that measures 51”Lx27”Wx33”H, big enough for a baker’s dozen of big mahis. 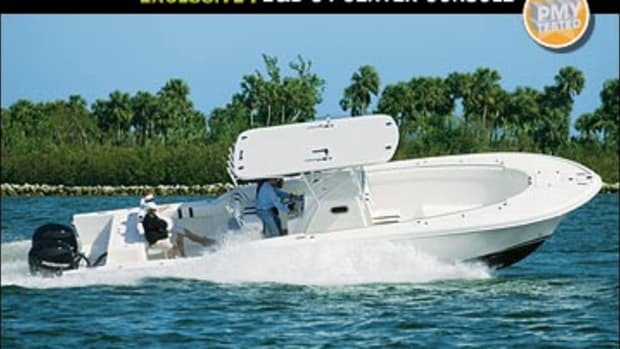 In addition here to port and starboard are 50-gallon insulated fishboxes, also standard with the FS package, that are 73 inches long, ideal for swallowing a few nice-size wahoo in each. 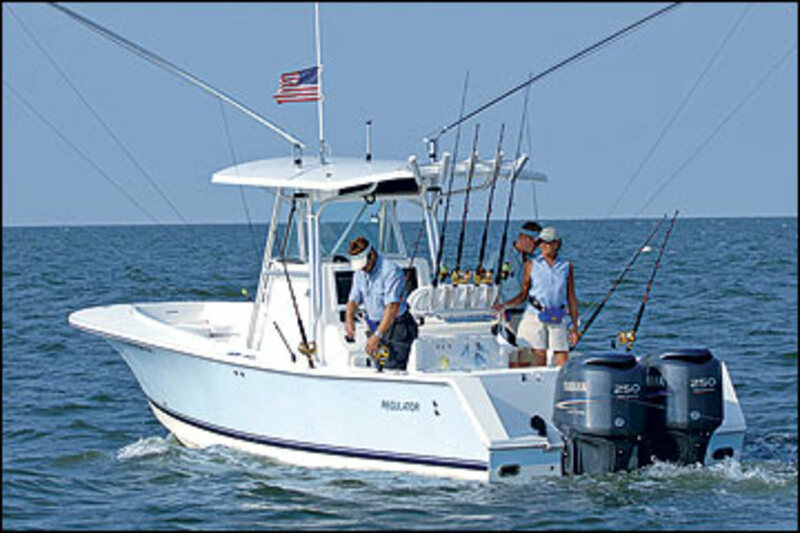 Aft and transom-mounted are a 30-gallon livewell and additional 84-quart bait box, both standard, the latter good for a few flats of ballyhoo; standard coaming pads back here promise comfort for stand-up fish fighting. As I get older, it’s still about having fun with friends on the water, but now I’ve got a son, so it’s also about value. 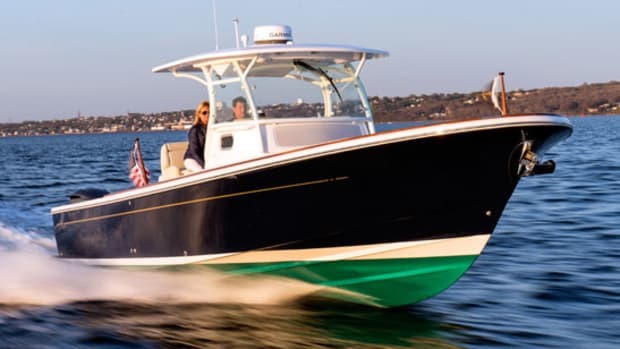 With a base price of $135,000, the Regulator 29 FS suits me just fine, and she’s also well-suited to anglers looking to downsize or as a complement to a larger convertible. 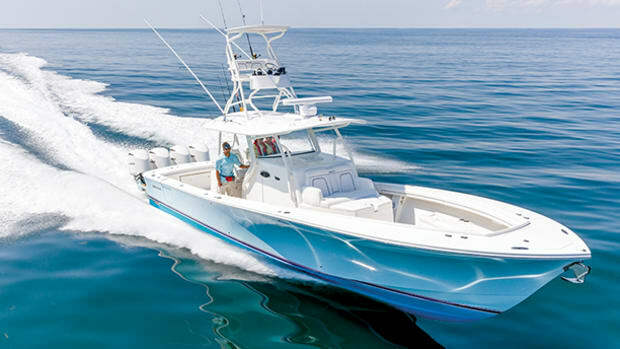 Add a custom hardtop and a tuna tower—which is what a lot of Regulator buyers do, according to Devlin—and you’ve got a tourney-capable boat at a fraction of the cost of a diesel-powered battlewagon. The 29 will get you and your crew offshore fast and allow you to troll all day without burning 300-plus gallons of fuel in the process. Now that’s value, and if you’re lucky, it’ll get you dinner as well.